Last release, On Fire Edition, came in 2011. Electronic Arts has announced that the once downloadable game NBA Jam is currently scheduled for a release on November 17th, 2010. Additionally, online play has also been announced for the title. 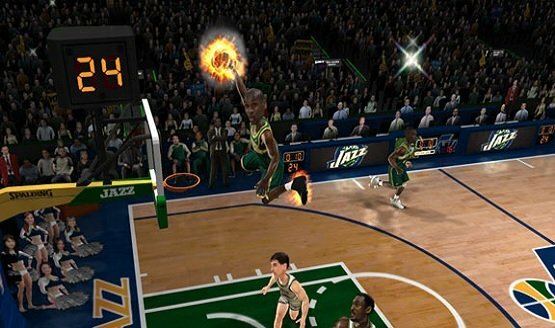 I think we can all agree on something: When EA Sports announced NBA JAM was returning but as a ‘exclusive’ to the Wii, you were disappointed because you had to dust off your Wii and second, that it wouldn’t be in glorious HD, oh and no online play either. Drats. Clean that dissapointment off your plate, my friends..after the ESRB leaked that NBA JAM would be coming to the PS3, we’re here to report that the rumors are true! There’s a small catch though..you HAVE to buy NBA ELITE 11 to get access to it. Boomshakalaka your way inside for the full details.